This week, our church is going all out to share the gospel with kids in our community through a week long Vacation Bible School using Answers in Genesis’ Kingdom Chronicles lessons. I am teaching the 6 through 8 years olds (we had 42 of them today!) and my daughter is helping in the 2 and 3 year old class. We had just over 100 kids arrive today! 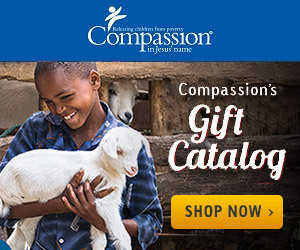 As I was sitting home this afternoon, relaxing from a busy morning, I was thinking about the many leaders and teachers in the 26 countries where Compassion is sharing the gospel with kids each and every day. I am thankful for them and the time they spend making sure the kids who attend their centers know about the hope they can have in Jesus. Question for you: Will you pray for the Compassion leaders and teachers today?